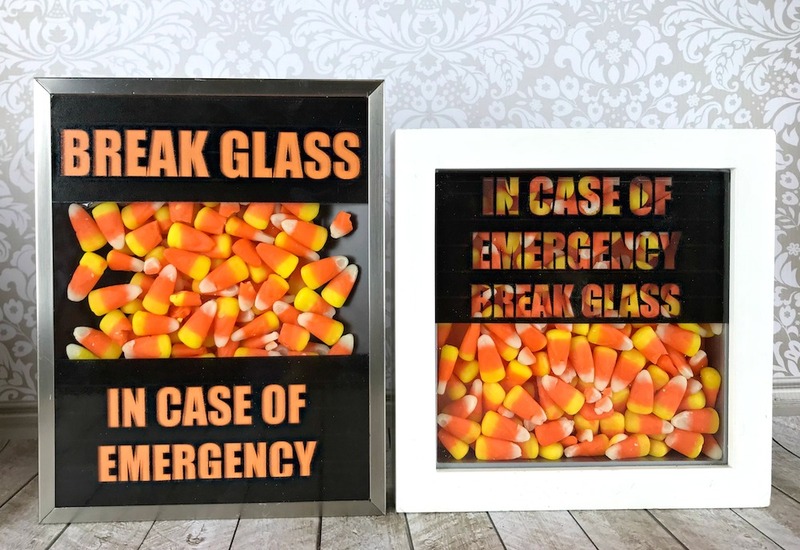 Break Glass in Case of Emergency candy decor tutorial with a free printable. This is a sponsored post with OnlineLabels.com. 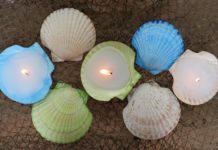 This humorous piece of decor is really easy to make, and you just can’t help but smile when you see it. 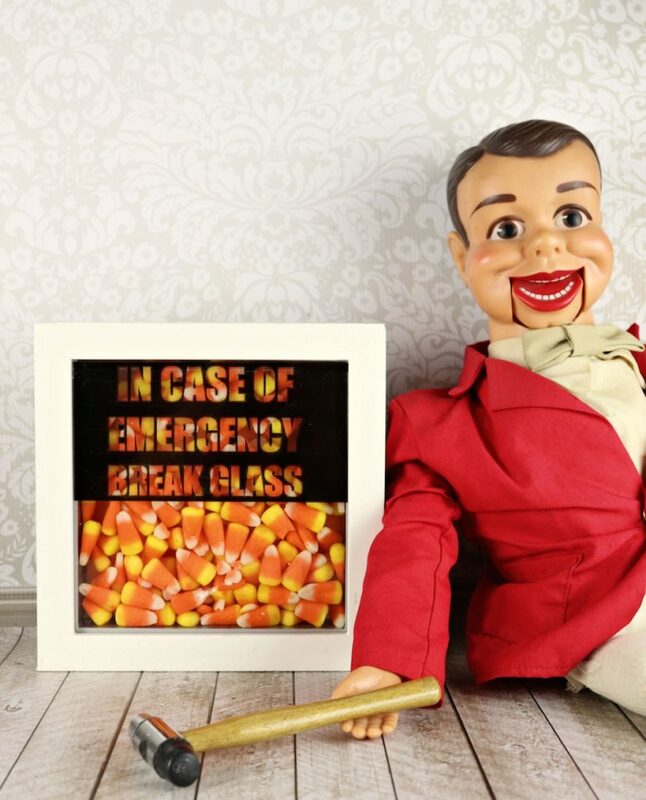 This break in case of emergency candy shadow box makes for a funny office gift or classroom decor. 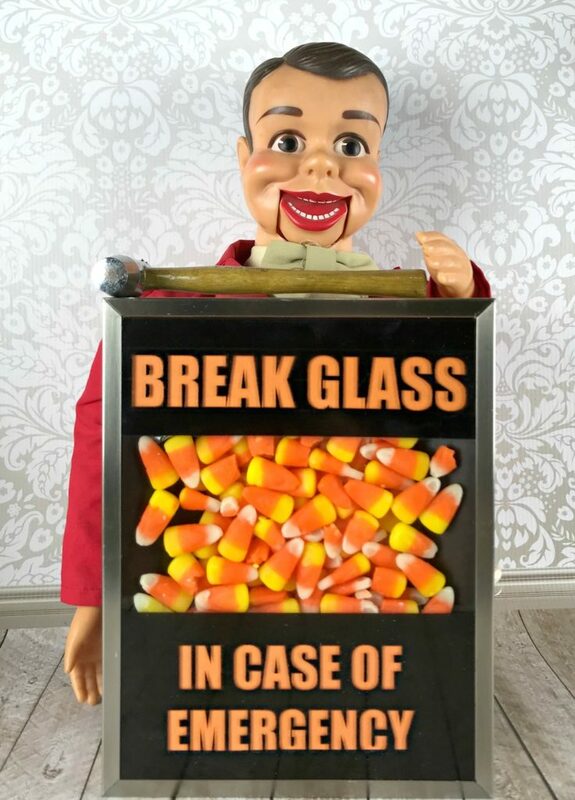 I used Halloween candy since October is just around the corner, but you could do this with any kind of small candy. 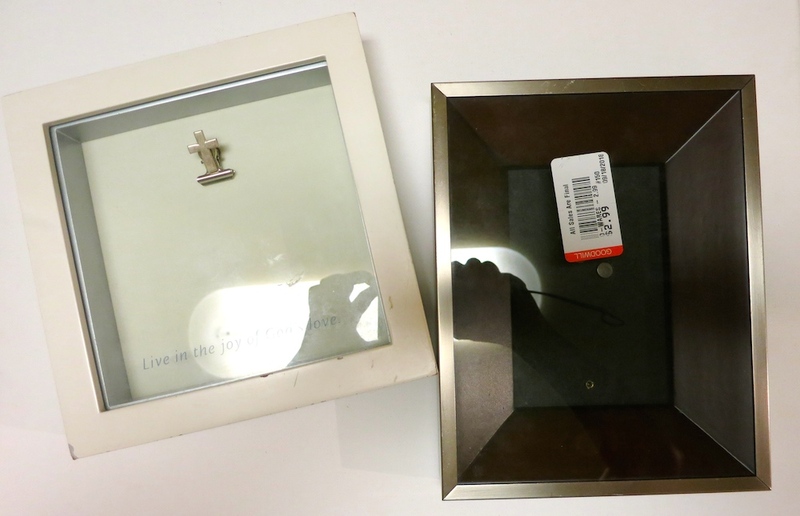 Choose frames that are deep or that are shadow boxes. Clean the class well and remove the backs from the frames. Copy and save my free printable. It’s designed to work with OnlineLabels.com clear labels. The specific label I used from their site is OL5925CK. 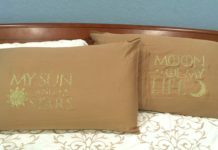 It’s specially made to use with an inkjet printer, and the ink will not smear or bleed on the slick, clear finish. 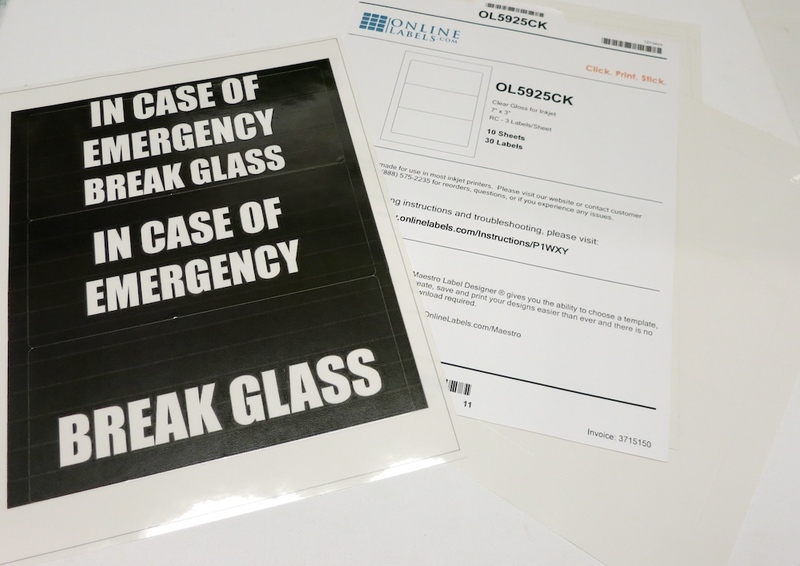 Peel and stick the printed clear labels on the front of the glass. 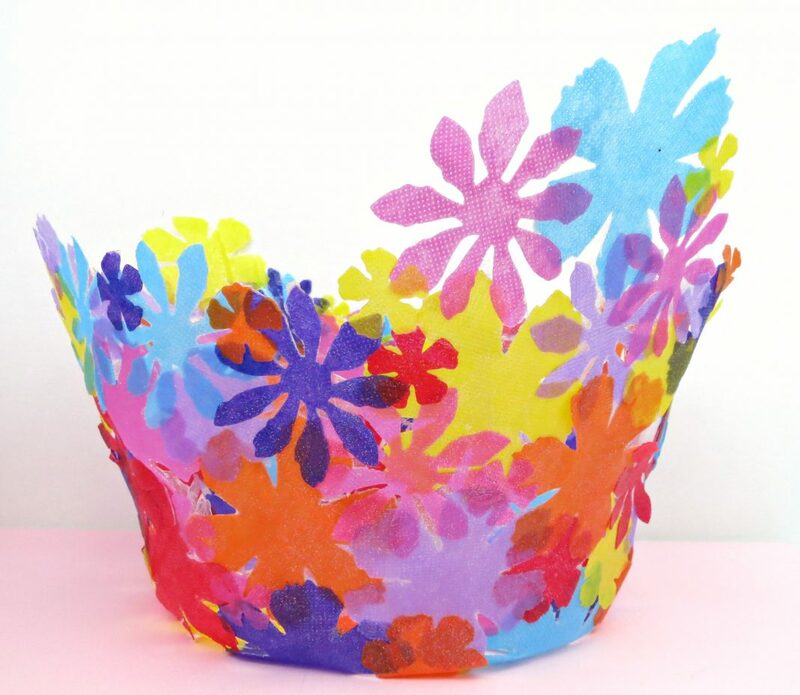 Use a craft knife to trim off the excess on the edges as needed. 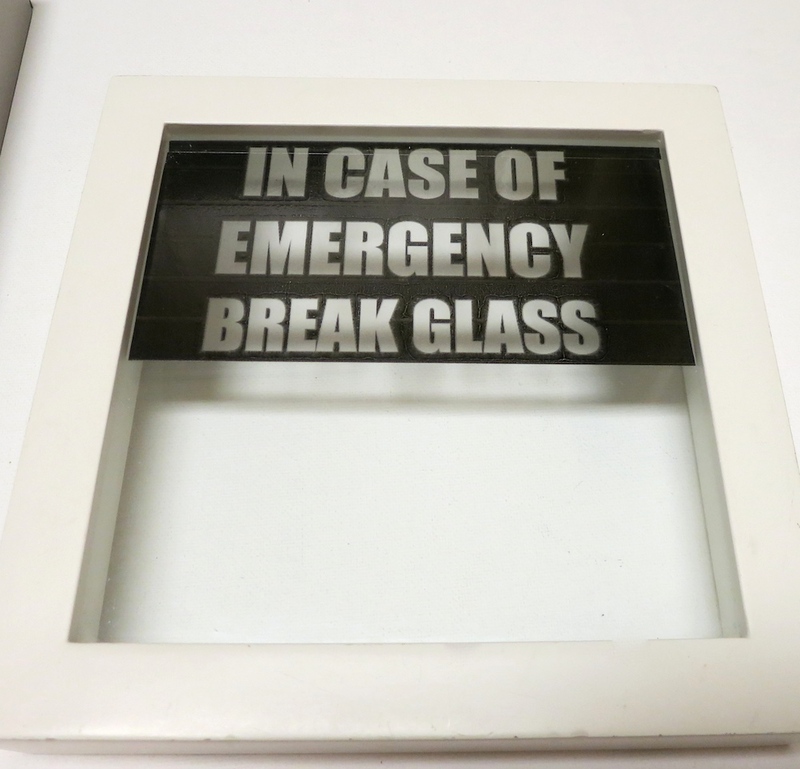 I cut orange cardstock and taped it behind the glass so the writing would look solid and stand out more. This is optional. I think the glass still looks cute with the candy showing through the clear letters. Choose the one that you like best for your personal project. 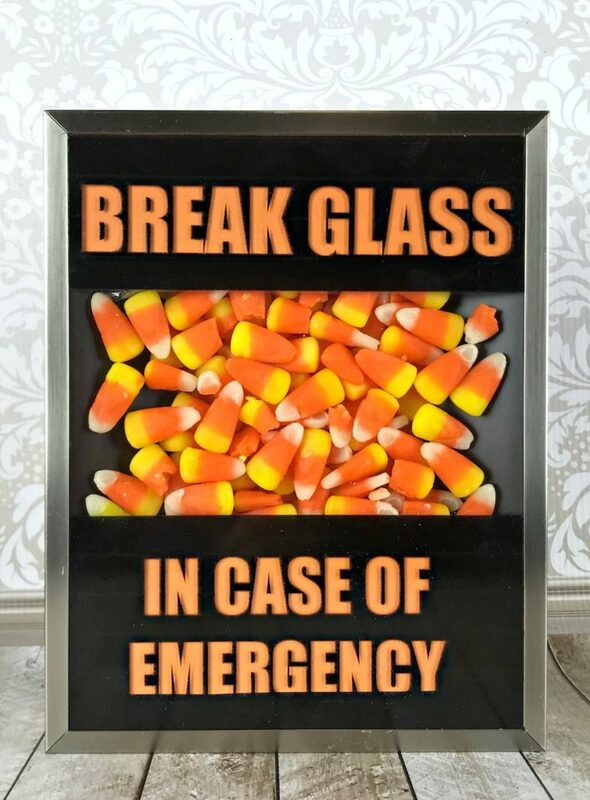 Fill the frame with candy corn, or whatever candy you choose. Replace the back on the frame and you’re done! 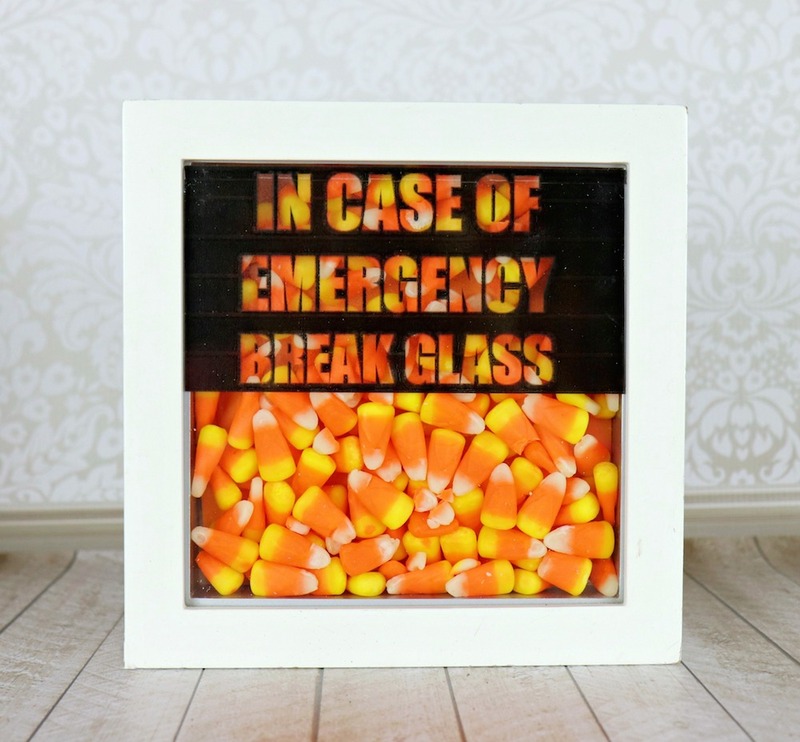 You can now hang this break glass in case of emergency candy holder on the wall or use it to decorate a counter space. 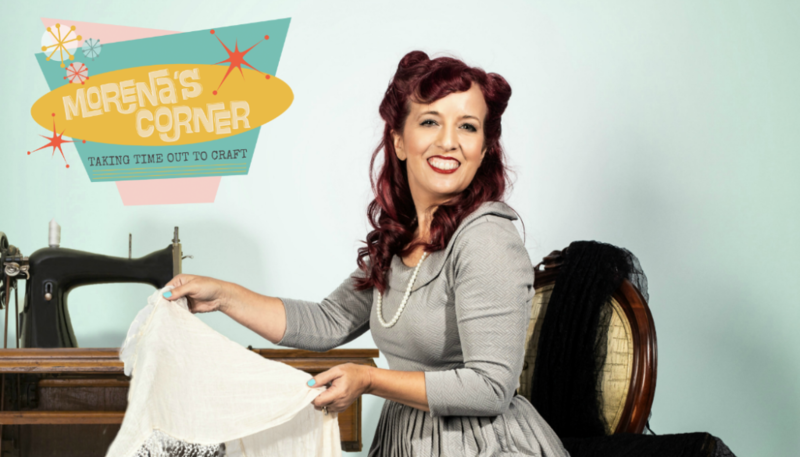 Leave a hammer by the frame if you dare! 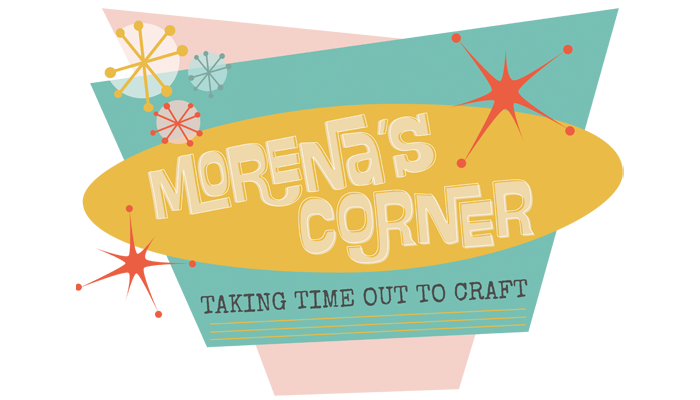 For more fun projects that have free printables, click here. 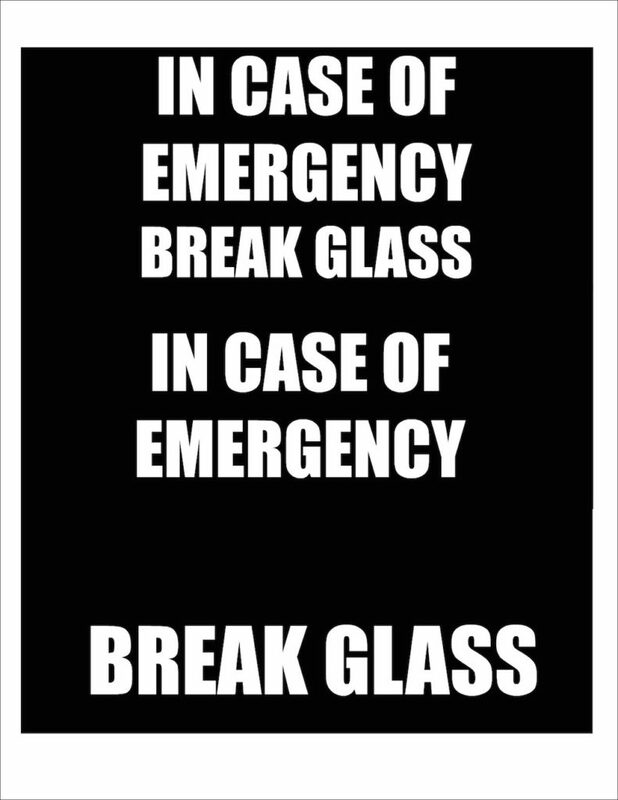 I’m having an emergency right now. 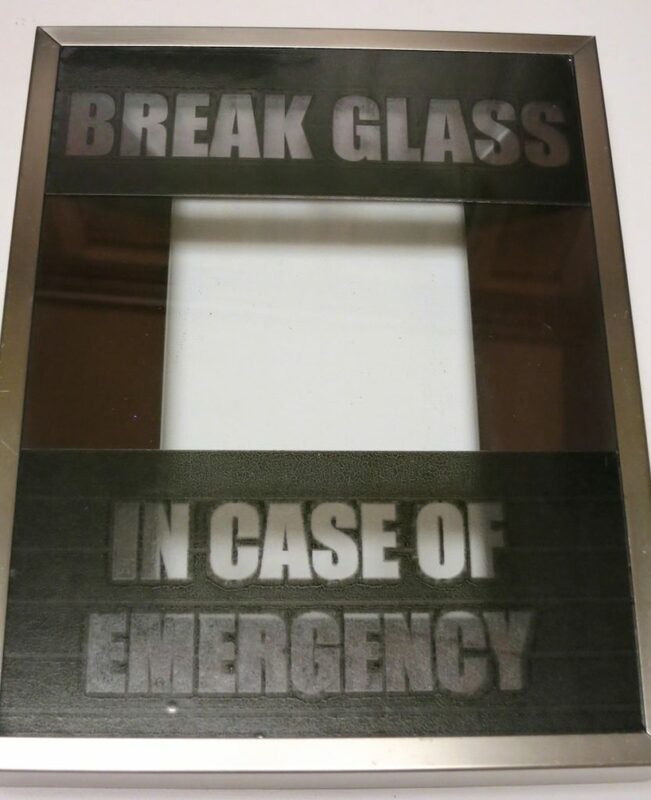 If I had that in my home I might be breakin’ the glass right now. Super cute! ha! My oldest son has already emptied this. It did not last long. Teenagers!